Quake in The Cage 5 Lake Forest MMA | MMA Fighting Events Videos Techniques UFC Fight Picks and News. In the first round Garibay showcased some nice work from the guard going for an armbar and a triangle. Tenorio usesd his strength and was able to slam his way out of the submission attempts. In the second round Garibay takes it to the ground and dominates the fight for most of the round. Tenorio hangs in and survives. In the third round Garibay uses his superior jiu jitsu to eventually mount. From there he controls Tenorio and lands some ground and pound for most of the round. Tenorio exhibited great strength in this fight, but ultimately Garibay had better technique and pulls on the judges decision. Canal opens the first round with a stiff jab and then the fight turns into a clinch war. The second round starts with a quick exchange of punches that leads the fighters back into a clinch. They break up mid round to trade some more but then they return to the clinch. Canal is able to score a takedown and finishes on top. In the third round Pinedo is able to catch Canal with a solid punch. Canal falls but is able to hang in the fight by using his guard. Pinedo eventually takes over on the ground and is able to submit Canal with a darce choke. Pinedo wins via darce choke submission. These fighters waste no time in starting the fight with exchanging chingasos. Castellanos is able to use his quickness to get the better of Puncel. Puncel is able to get a takedown and slow the fight down. In the second round they throw defense out of the window and get into an I punch you in the face, you punch me in the face affair. Puncel lands some hard punches, but Castellanos is able to use his speed and lands punches in bunches. Puncel scores a takedown and is able to get in a little ground and pound. They clinch in the third round and this time Castellanos is able to score a takedown where he is then able to control the fight. Puncel is tough as nails and is able to hang in the fight, but Castellanos speed was a bit too much and he pulls out the judges decision. Tavio wins via rear naked choke. The first round goes back and forth until a scramble at the end of the round where Hansford is able to take advantage and take the back. The submission was close but Glover survives. In the second round Glover opens the round with a devastating leg kick that floors Hansford. Hansford quickly recovers and shoots for a takedown where the fight stalls against the fence. The ref restarts the fight and again Glover is able to land a powerful leg kick. In the third round Hansford opens up his hands which causes Glover to shoot for a takedown. The fight stalls. After a restart they exchange a bit more and this time Hansford shoots for a takedown but is unable to score it. This was one of those evenly matched fights that went back and forth with neither fighter able to take control of the fight. In a very close fight, Glover wins the decision. 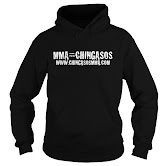 Check out the free MMA video. Hughes comes out with an elusive and unorthodox fighting style that causes some exciting exchanges with Camarena. In round two, Hughes opens up his chingasos arsenal even more and electrifies the crowd. Camarena seemingly baffled by Hughes attack gets caught up against the fence where Hughes is able to sink in a guillotine submission. In an exciting fight, Hughes wins via guillotine submission. The fight starts with a flurry of strikes that lead into a clinch. The rest of round one is fought in a grueling clinch battle. In round two, Huerta engages Ware with some striking but then quickly shoots and scores a nice double leg takedown. Ware makes his way back up and exchanges more fight with Huerta. In Round 3, both fighters seemed to sense that it was a close fight on the judges cards and stepped up the action. Ware was able to lock up Huertas neck but Huerta survived. In a a very close and tough fight, Ware wins via judges decision. In this title fight they start by charging at each other like wild rams and slamming into a tough clinch battle. Eventually, Parker is able to score the takedown and lands some ground and pound to end the round. After starting with exchanging some good stand up, Parker catches a leg kick from Lee and takes him down. Parker is able to control the the fight on the ground, finishing the round on top in side control. Round three starts off with an exchange of chingasos but then Parker again is able to score a takedown, he controls the fight on the ground from there and finishes off with some ground and pound. Parker wins via judges decision. In was a great night of fights and once again Quake in the Cage and Old School Promotions prove they could put on a good MMA showcase. The crowd at Reign Training Center was live and engaged. UFC fighters Mark Munoz and Krzystof Soszynski were both on hand taking pictures and meeting the fans. If you get a chance to go to Quake in the Cage 6, make sure not to miss the action. Pictures will be up soon on on Facebook Page.